A first-time visitor to China likely has three destinations: Beijing for the Great Wall and the Forbidden City, Xian for the terracotta soldiers and Shanghai for its spectacular skyline. Beijing, Shanghai, Xian and Wenzhou? WENZHOU, China – A first-time visitor to China likely has three destinations: Beijing for the Great Wall and the Forbidden City, Xian for the terracotta soldiers and Shanghai for its spectacular skyline. 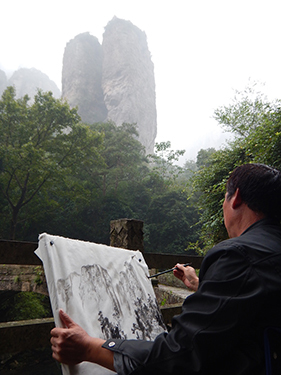 An artist-worthy village is the starting point for hikes at Dalou Mountain, high above Wenzhou; image by Tom Adkinson. 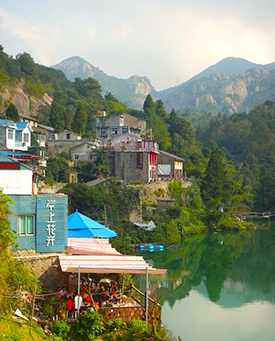 The little city of Wenzhou wants to work its way into that consideration set. I say “little” because Wenzhou has only about 9 million residents, while Shanghai has 34 million, Beijing has 25 million and Xian has 13 million. Believe the demographers when they say China is the most populous nation on earth. Wenzhou actually has a lot going for it. It’s on the coast of the East China Sea between Shanghai and Hong Kong, and its attractions include towering mountains inside the city limits, two spectacular national parks nearby, a Buddhist temple begun in A.D. 265 and 2,000 years of civilization as a foundation. As a port city and a manufacturing hub, Wenzhou has had a reputation for commerce and an entrepreneurial spirit for centuries. One of its big exports has been its own citizens, who are famous in many nations for immigrating and creating local businesses. Most Americans who have even heard of Wenzhou know it as a manufacturing and export city and send their manufacturers’ reps there. 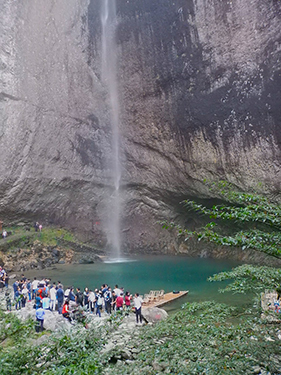 Today’s Wenzhou wants to add tourists to the mix of visitors in addition to business executives. There is much to entice leisure travelers, and the volume of business activity means there is a solid inventory of 5-star lodging, including a Shangri-La and a Sheraton. To the mountains, Part 1: Just 12 miles laterally and hundreds of feet vertically from the center of the city is Dalou Mountain. Any city in the world would be happy to have this trail-laced retreat. Many of the trails have concrete staircases to make climbing easier, and one route leads to an unexpected mountaintop lake. To the mountains, Part 2: Slightly farther away (40 miles) is Yandang Mountain, a UNESCO-designated World Geological Park known as “the natural museum of the volcano.” Park features include rock formations that spark images of Yosemite and the 646-foot Dalongqiu waterfall (the second-highest in China). 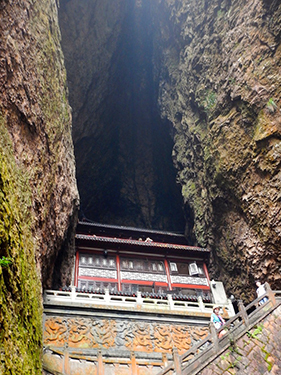 To a place of meditation: Regardless of your religious affiliation, you must admire the faith and determination of the builders of the Guanyin Temple at the Yandang Mountain park. This Buddhist shrine, which dates to the year A.D. 265, has nine levels wedged between two peaks that lean tightly into each other. To the beach: Just an hour’s drive from Wenzhou’s airport gets you to Dongtou, a collection of 168 islands (14 inhabited) in the East China Sea that are popular beach destinations. The five biggest islands are connected by road. 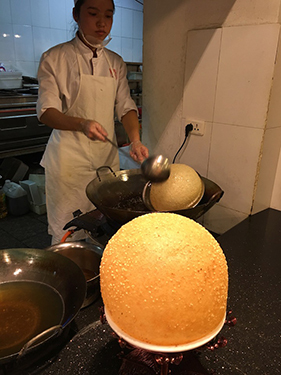 To the table: Since 1995, the Tian Yi Jiao Restaurant has been dishing up Wehzhou’s traditional street food, snacks and entrees in a raucous indoor food court where the preparation and cooking are part of the show. The displays boggle Western eyes – fish in all forms, noodles, pig snouts, duck tongues, steamed crabs and much more. There are so many choices, you’ll find plenty you want to try. Trip-planning resources: This destination requires a travel agency with deep Chinese experience, such as Shanghai-based Spring Travel. Its U.S. office is in Los Angeles (Spring-Tour.com and 626-363-0888).